Bob Owens Electric has been providing quality electrical service for Residential, Commercial and Industrial buildings since 1982. We are fully licensed and insured. We are proud of our reputation and protect it the only way we know how-- by providing quality workmanship, knowledgeable electricians, and staying committed to our customers. All the materials we use are UL approved and meets or exceeds the National Electrical Codes requirements. Our highly trained staff will provide you the design and implementation you need, with the quality, integrity, and professionalism you deserve. Our clients deserve the highest value for their money. It's a simple fact: Doing the job right the first time always costs less than doing it twice. We value a positive attitude, reliability and good qualifications in our employees. Nothing is more important than knowing our employees treat every client with courtesy and respect. 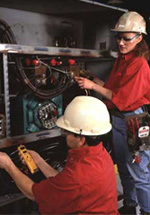 Our dedicated employees at Bob Owens Electric, have acquired the reputation for integrity, and high quality work. Safety is one of our most important concerns. 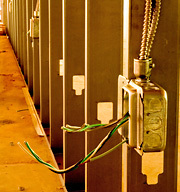 Our Electricians are knowledgeable of electrical codes and are proficient in safe working practices.